November is my favorite time of year. Not because my birthday is in November. It is. Not because Thanksgiving is in November and we get to eat lots of good food and visit with family. It is and we do. Not because we get to watch the Lions play their annual Turkey Day NFL game. We do, but who cares. No, November is the best because of weekends in college football like this one. Rivalry week is here which is almost a guarantee for a great slate of football games. The tradition, pageantry, and down right hate in some of these rivalry games is unmatched by any in all of sports. This week we rank the seven SEC rivalry games that will be played this holiday weekend so set your DVR accordingly. This one could be a spot or two higher, but I have them at the bottom for the simple reason that the Commodores are under .500 and have no chance to go to a bowl game. 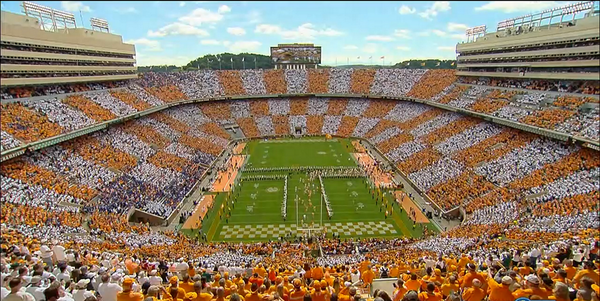 Tennessee has always looked down on the smarter, little brother and rightfully so. With the exception of a few years under James Franklin, Vanderbilt typically isn’t very good. But this game has produced some exciting moments in recent years. Vol and Commodore fans certainly won’t forget Tennessee defensive back Eric Gordon’s pick six in overtime in 2010. Let’s hope this year’s installment produces as much excitement as 2010. If this were basketball, this rivalry would be near the top of the rankings for all of the NCAA. The football version isn’t quite the slugfest that the hardwood version usually is though. This bluegrass battle gets the nod over Vandy/Tennesse simply because the Wildcats are playing for a bowl bid. Kentucky is sitting at 5-6 and needs a win to make it to postseason play. Louisville already has their bowling shoes ready but are awaiting what bowling alley they will be attending. That alone should make this game an interesting matchup. I know captain of the Kentucky bandwagon, Levi Dunagan, will be watching intently. 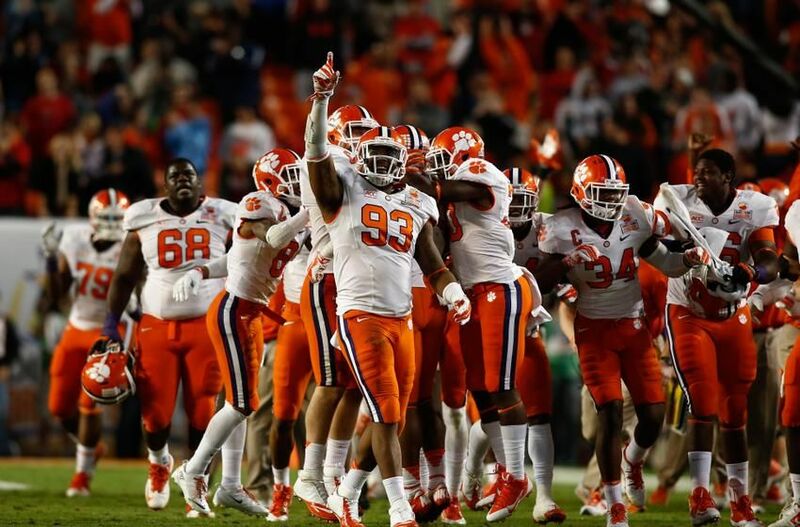 Clemson is 11-0 this year and the #1 team in the country. South Carolina is 3-8 and ready to forget this dreadful year. This is the type of game where Steve Spurrier would do something very Ole Ball Coach-esque and wreck Dancing Dabo’s hope of a national title. The only problem for the Gamecocks is that Spurrier retired midseason, and they are coming off a loss to The Citadel. Plus, with that loss interim coach Shawn Elliot all but guaranteed himself that he will NOT be the next coach in Columbia. Clemson is the #1 team in the country so this gets the nod as the #5 rivalry on the weekend. Maybe 2006 Ryan Succop can return to kick for South Carolina and hit another 52-yard game winner. Clean, Old Fashioned Hate pretty accurately describes this rivalry. Georgia Tech is a surprising 3-8 on the season. Georgia is 8-3 but depending on who you talk to you would think that the Yellow Jackets are having the better year. Georgia has had an extremely unlucky last two seasons with their star running backs getting hurt to ruin potential title runs. The Bulldogs have owned the Yellow Jackets in recent years and will look to keep that dominance rolling again in Bobby Dodd Stadium. 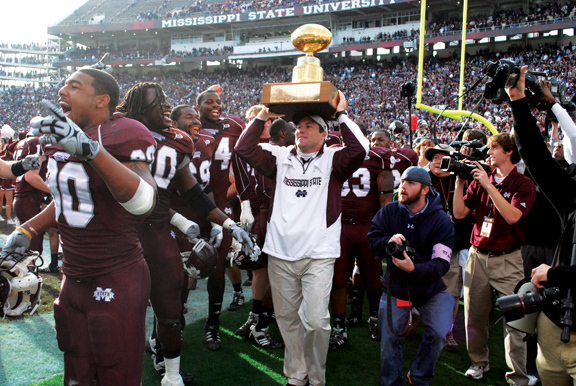 The Egg Bowl has developed into one of the must watch games over the past few seasons. If either team were ranked a little higher, I would probably have this matchup at #2. Both teams hate each other and records go out the window when they get together. This game features two of the SEC’s top quarterbacks in Dak Prescott and Chad Kelly, little to no running game from either team and two solid defenses. Prescott will look for a repeat performance of 2013 when he willed his team to a late touchdown to give the Bulldogs the win. Either way this game is always exciting and I expect it to be another good one Saturday night. Florida survived a scare against Florida Atlantic last week and looks to rebound in a big way against the Seminoles. Both teams still have a lot to play for this season with hopes of sneaking into the College Football Playoff or a New Years Day bowl at least. This games has produced a number of memorable moments over the years including the “Soak at Doak” where Florida quarterback Tim Tebow went over, around and threw Florida State in the pouring rain to a 45-15 drumming of the Seminoles in Tallahassee. Don’t be surprised to see more memorable plays like that in this year’s edition of the Sunshine State rivalry. Was there any doubt what #1 would be? This is the best rivalry in all of college football. Both teams and fan bases hate each other. Kids choose sides at an early age who they pledge their allegiance to for life. Alabama is having the year that many have grown accustomed to in the Nick Saban era. Auburn has had a disappointing year and would love nothing more than to ruin the Crimson Tide’s chances of another national title. This game has too many great moments to name them all. Bo Over The Top. Punt Bama Punt. The Run In The Mud. The Drive. 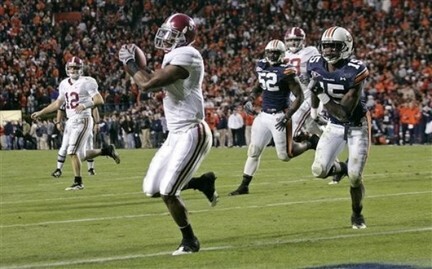 And of course the Kick Six. The state of Alabama will stop for four hours starting at 2:30 on Saturday to listen to everyone’s favorite announcers Gary and Verne call the action. There is no doubt that this is the best, most intense and fiercest rivalry in football and the winning team gets something that’s almost as important to fans as winning championships…bragging rights.